If you are under the age of the 18 you are in a powerful position to establish healthy money habits today that can last a life time. Like many adults, I did not learn about money as a teenager and because of this I made a lot of mistakes with money as a young adult. If I knew as a teenager even a fraction of what I now know about money my life starting off as an adult would have been much easier. Even if I only knew the three money tips that I am sharing with you below, I could choose to retire by age 45, while most people retire well after age 65. Money is a tool and financial education provides you with instructions on how to best use money. Learn as much as you can as young as you can. Here are my top 3 Un$toppable Girl Money Tips! The more you know about money the less mistakes you will make with money. Financial education is just as important as learning about math, reading, and science. You can learn about money in many ways such as through reading books, your parents, or learning from Financial Service Professionals. These individuals are licensed experts who helps people understand money and personal finances. If you have social media or access to the internet try researching few of my favorite money guru’s. (Mellody Hobson, Suze Orman, Ashley Fox, and we also have tons of information on our site at FinancialPowerNetwork.net) You might notice that each expert may use different methods to teach about money. This just means that there are many ways that money can work, which is why it is so important to learn about it. “If you set aside $100 every year starting at age 14, you’d have $23,000 by age 65, but if you start at age 35, you’ll only have $7,000 by age 65. This is because of Compound Interest. The most important ingredient of compound interest is time. The longer the time period that you can let your money grow, the faster your money will grow. If you’re curious to learn more about compound interest visit investors.gov to practice on the compound interest calculator. A budget is a powerful money management tool that helps you understand exactly how much money you always have. A budget is managed by using simple + addition and – subtraction. On a separate sheet of paper make two columns. In one column list all the money you expect to receive (Allowance, paycheck) for the week. In the other column list all the money you expect to spend (Shopping, food, cell phone bill) for the week. Subtract your total expenses from your total amount of money received and now you can see exactly how you’ve spent your money and how much money you have remaining. You can manage a daily, weekly, or monthly budget and always have control of your finances. I challenge you to ask a few adults in your family what’s their biggest financial regret… many of them will say they wish they would have started earlier. I empower you to use the unstoppable girl money tips above to jump start your research on managing your personal finances, so you can live a financially independent life style decades down the road. Brandy’s commitment to financial freedom for all, stems from her personal experience living in poverty and surviving homelessness. 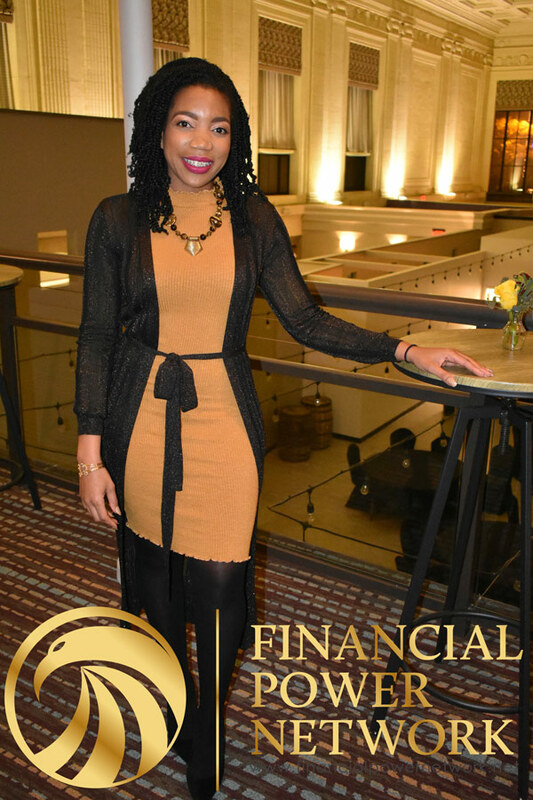 Brandy’s greatest passion is helping individuals and entrepreneurs grow their personal wealth through financial education. After obtaining a Bachelor of Arts from Wittenberg University, Brandy has held leadership posts at The Columbus Urban League, The Ohio State University Medical Center, and PFS Investments. She currently serves as the Founder and CEO of The BIO ; Brandy is the Author of The 4 Week Financial Power Plan, Architect of the Columbus Urban League 700 Credit Score Columbus Community Initiative, and founding member of The Financial Capability Network of Central Ohio. Brandy is a highly sought after national public speaker and financial educator. She was also featured in the 2017 Docufilm, Black Friday 2: The Living Legacy World Tour. She shares her journey as proof that financial knowledge + action = financial power.